We will begin at the village council of Rummana, where you will have a small welcoming ceremony with local families and a short debriefing about the program with the guide. Rummana, literally meaning 'pomegranates', is approximately 17 km northwest of Jenin in the northern West Bank. 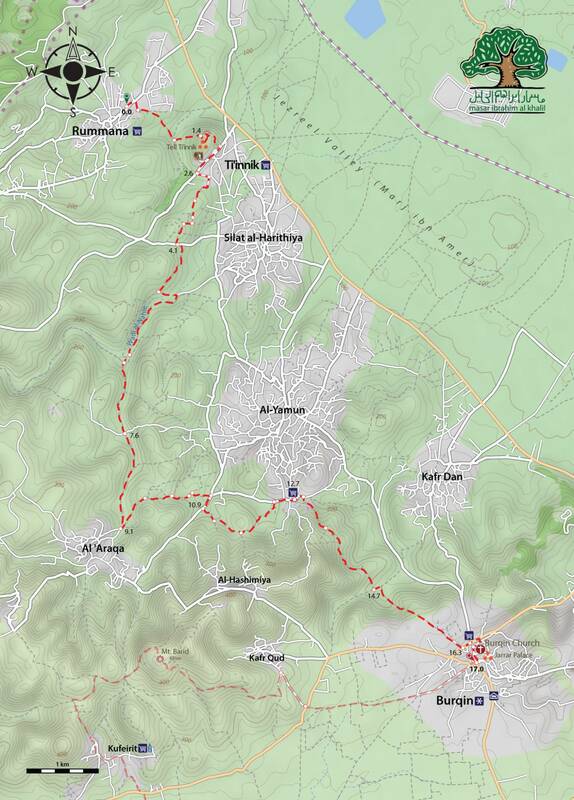 This hike is one of the most challenging and superb hikes in Palestine. 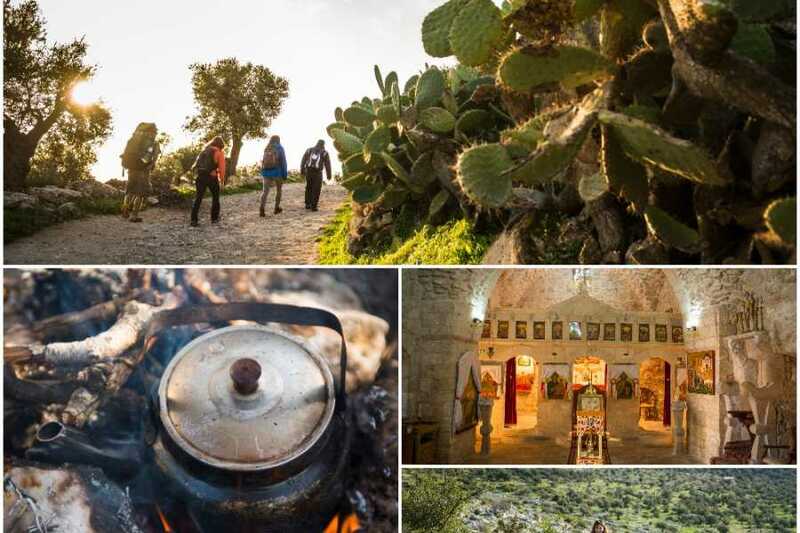 We will start walking through the ancient village on a hill slope and come across traces of ancient remains, including cisterns and caves carved into rock. We will continue towards a village called Ta’ennek in the northwest of Jenin, where we will be welcomed and hosted by their village consulate and some local people. 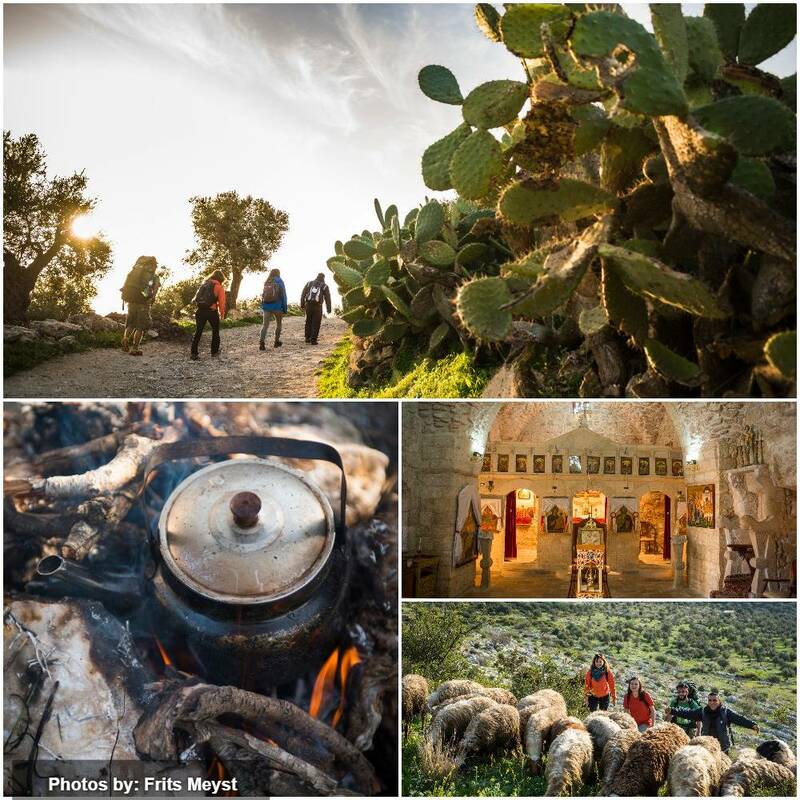 Ta’ennek is a calm and quiet village with a simple way of living. 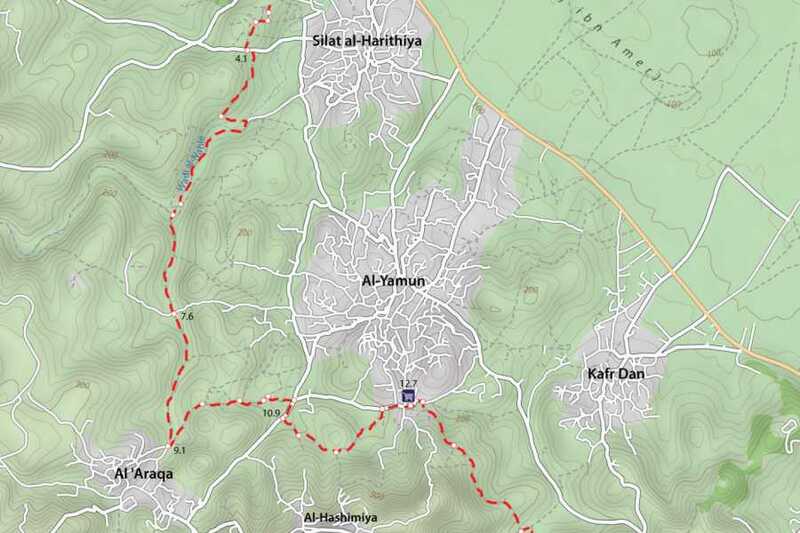 We will continue walking towards Burqin, a small agricultural village. Walkers will have the chance to purchase fresh fruit, olive oil and other locally produced organic products. Burqin hosts the Church of St. George, said to be one of the oldest in the world.